Summer is officially here in Southwestern Tennessee (despite the fact that the summer solstice is not for another 11 days), and with summer in Tennessee comes heat and humidity. Our highs this week are humming around 90 degrees, and our lows want to hang in the upper 60s or low 70s. Why not put some of this good solar energy, with extended daylight hours, to work for us, even if we don’t have solar panels yet? If you’ve been reading, you’ve “heard” me mention the bumper clothes line I bought and hubby put up for me a couple of weeks ago. Until now, I’ve used it for a pair of jeans that didn’t get completely dry in the time allowed on the dryer or for towels and swim suits after going to the pool (post about the pool is HERE). 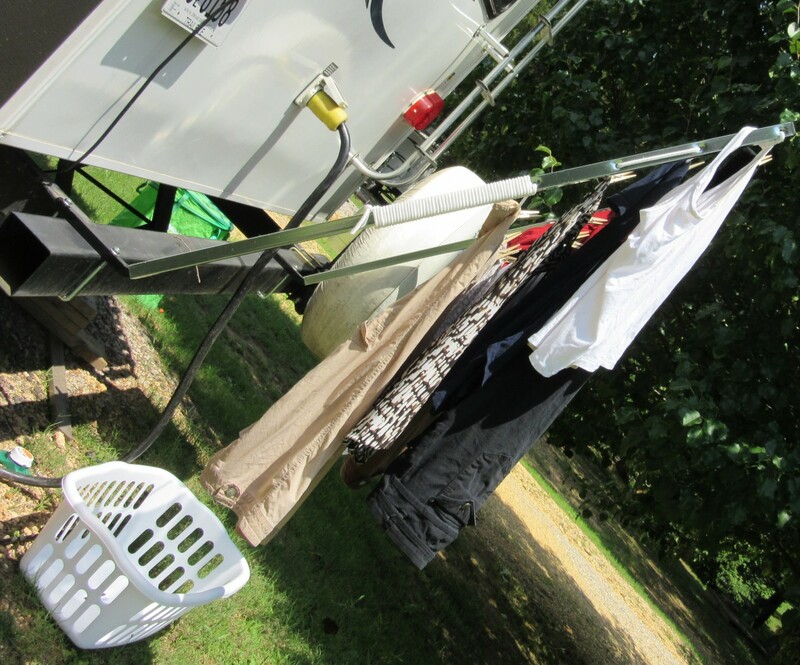 Today, I’ve got a full load of clothes hanging out and drying in the warm sunshine! Granted, these are mostly my dog-walking clothes, so they are the worst of the worst in terms of looks. But, hey! I have to wash them to get the dog smell, dog hair, and my sweat off of them before the next use. There are four lines, though hard to see with so many clothes on them, and not all of the lines are completely full. Jim is considering changing the position of the spare tire, so he can extend the lines further. I think this is a great idea,. 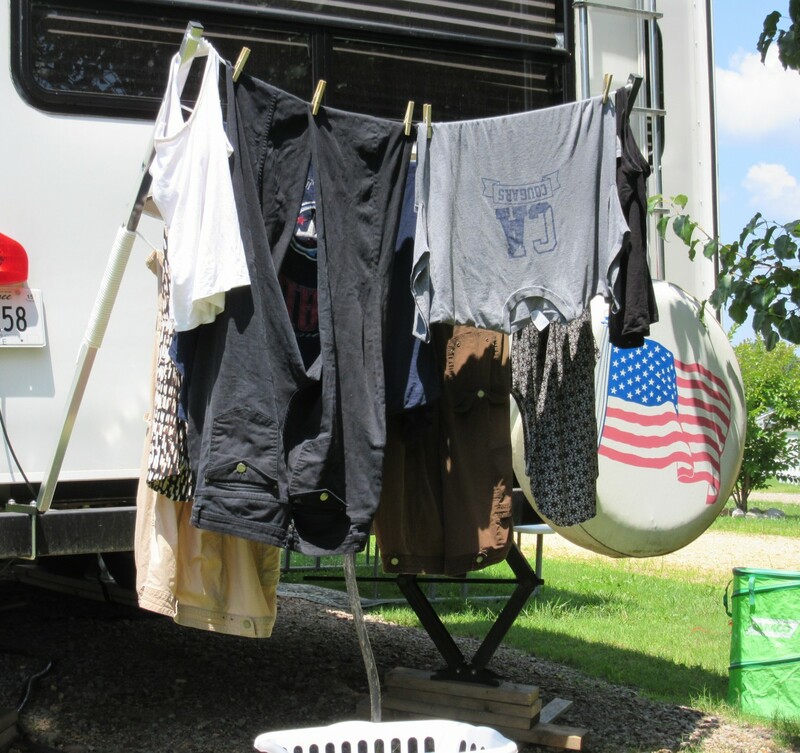 Using the clothes line, I can reduce our laundry expenses considerably through late fall at least by hanging most of the loads out to dry. I’m very happy with the clothes line, and I appreciate so much Jim putting it up for me to use all this free solar energy.